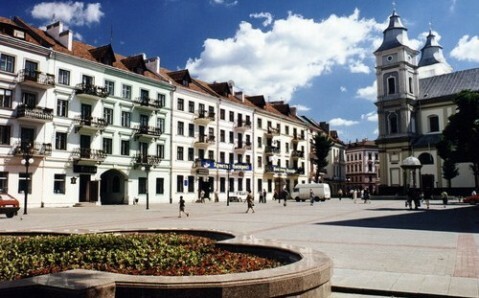 To most tourists, Ivano-Frankivsk is the gateway to the Ukrainian Carpathians. So it is often considered to be just a transit point on the way to one of the numerous health and ski resorts of Zakarpattia. But this charming city, with its parks, lush gardens, European-styled houses, and historical monuments, is worth staying in for more than just a night. Andrzej Potocki founded the city in 1662 and named it Stanyslaviv, after his father Stanyslav. It started out as a defense castle against the Crimean Tatars and as a stronghold of Polish lords in Galicia. In the late 18th century, the city was taken by the Hapsburg Empire, in whose hands it stayed until the beginning of World War I. In 1918, it became the capital of the short-lived West Ukrainian People's Republic. The city celebrated its 300th anniversary in 1962 as part of the USSR, and its name changed to Ivano-Frankivsk. The new name commemorated the great Ukrainian writer and social activist, who did much to the preserve the Ukrainian language and culture. In times of prosperity, Ivano-Frankivsk was a large trade and handiwork center, attracting representatives from the many nations. Its Jewish, Armenian and Polish communities were the largest. 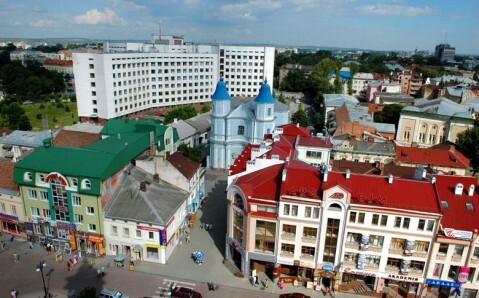 The city’s diverse character could not help but be reflected in its appearance: buildings of various architectural styles decorated Ivano-Frankivsk, giving the city its unique charm. But in the early 20th century, when severe fighting broke out all over the city, some historic buildings were destroyed, and later rebuilt in new architectural style. 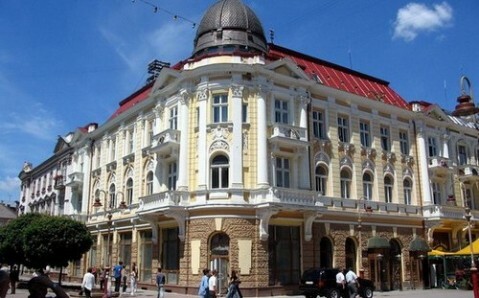 Yet Ivano-Frankivsk is still notable for its delicate elegance and allure. The heart of the city, customary for European towns, is the Market Square, surrounded by charming old houses. The square’s architectural ensemble is reminiscent of Lviv’s, which is why Ivano-Frankivsk is often called "Little Lviv.” In the center of the square stands the Town Hall - the only one in Ukraine that was built in the modernist style. The original town hall appeared here in the 17th century, but it was later rebuilt several times, settling on its current look in 1932. Today, the town hall houses a few pieces taken from the local history museum. If you choose to visit, you will find a collections of ancient furniture, weapons and books, as well as a tourist information center. 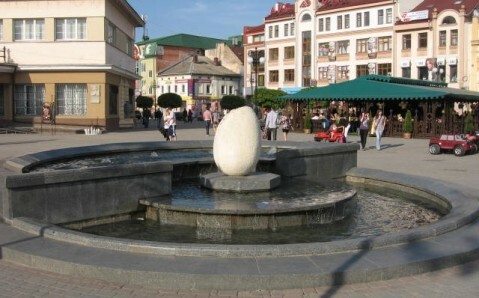 One of the most famous fountains in Ivano-Frankivsk, the Egg Fountain, stands in front of the Town Hall. The main gems of the city's sacral architecture are concentrated near the Market Square. Built in the 18th century, in the Late Baroque style, the building of the former Armenian Church holds a special place. In Soviet times, the Museum of Religion and Atheism was inside. Now, it is a functional Orthodox cathedral called the Holy-Pokrovsky. The Church of Virgin Mary, the oldest building of Ivano-Frankivsk, stands nearby. It was built in the 17th century as a burial vault for the Potocki family. The building has since been converted to an art museum; inside, you will find Galicia icons, works of West Ukrainian classical painters, as well as the masterpieces of Polish, Austrian, German, and Italian painters. Next door is the Baroque Church of the Holy Resurrection (a Greek Catholic cathedral), rebuilt from the remains of a Jesuit church. In addition to fascinating historic and architectural riches, Ivano-Frankivsk is known for its leisurely and harmonious life. This quality is pleasurable before heading off to conquer the snow-covered slopes of the Carpathians!